Portable Winch Co. Swing Side Aluminum Pulley. 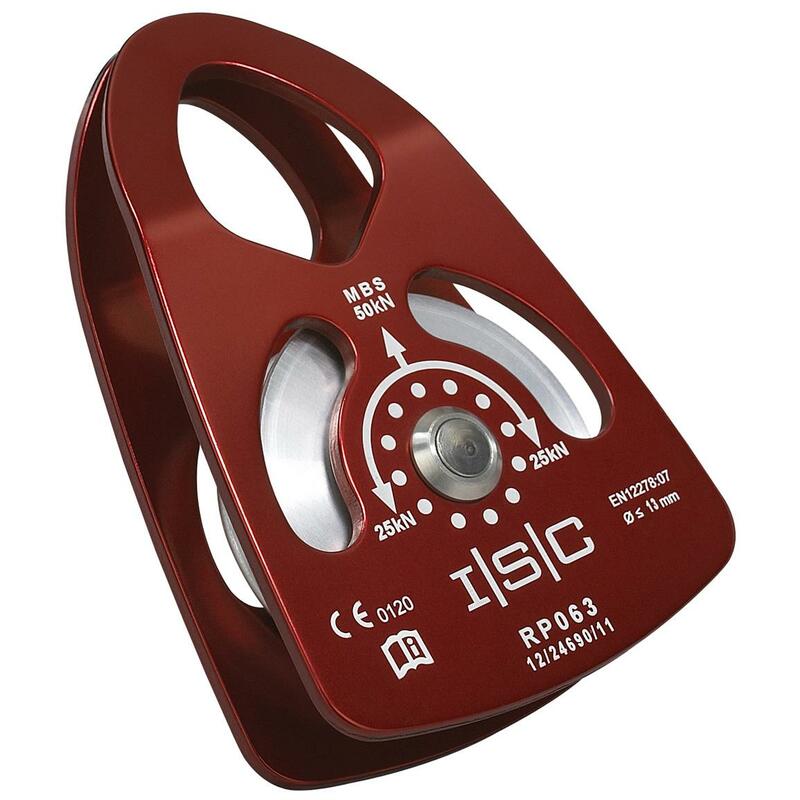 This Swing Side Aluminum Pulley has plates that swing open to install ropes. It's particularly useful when doubling the line, as the rope cannot accidentally come out of the block. Use the steel locking carabiners or shackles to anchor to a polyester sling. The 2 1/2" diameter Pulley is mounted on self-lubricated bushing and stainless axle. The swing sides are also made of anodized aluminum. Works with rope from 3/8" diam. to 1/2" diam. Measures 5 x 3 1/2 x 1 3/4"
CE and NFPA Certified as personal protective equipment.